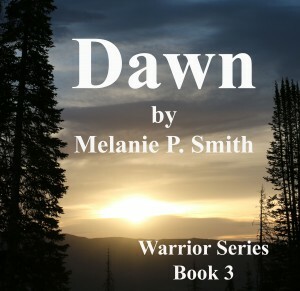 I’m excited to announce the release of DAWN, the third book in my warrior series. The anticipated release date was January 2015, but I finished early! One day counts, right? It’s now available on Amazon and Barnes and Noble. Go get your copy today! And for those of you that haven’t checked out my series yet, what are you waiting for? Just remember this is a progressive series. It is possible to read AFTER DARK without having read DUSK first. But starting with DAWN if you haven’t read any of the previous books, you might get a little lost. I am also working on listing all my books in the iBook store. I should have that completed sometime within the next month. Can’t wait to make my stories available to all those Apple users out there! Hidden Lakes is now available for purchase in Hardback through my website and I am currently working on getting my Warrior Series produced in paperback format. So much to do, so little time! But I’m excited about all the new format’s I’m working on. Hopefully 2015 will prove to be a productive and successful year. Between projects I am still working on my new novel, Mt. Haven. I’m having a lot of fun with this story so I hope you guys enjoy it as much as I am. In addition, watch for the fourth book in my Warrior Series, Shadows. It is currently in progress but should be out within the next few months. Hope everyone has an amazing New Years and be careful out there!